Eyewitnessing evaluates the place of images among other kinds of historical evidence. By reviewing the many varieties of images by region, period and medium, and looking at the pragmatic uses of images (e.g. the Bayeux Tapestry, an engraving of a printing press, a reconstruction of a building), Peter Burke sheds light on our assumption that these practical uses are ‘reflections’ of specific historical meanings and influences. He also shows how this assumption can be problematic. Traditional art historians have depended on two types of analysis when dealing with visual imagery: iconography and iconology. Burke describes and evaluates these approaches, concluding that they are insufficient. Focusing instead on the medium as message and on the social contexts and uses of images, he discusses both religious images and political ones, also looking at images in advertising and as commodities. 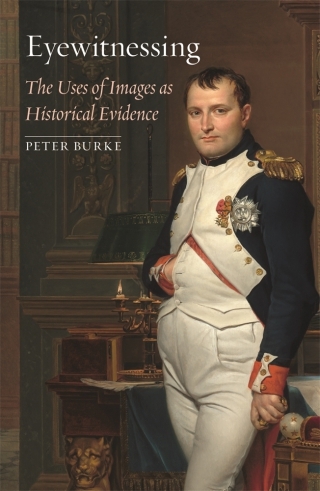 Ultimately, Burke’s purpose is to show how iconographic and post-iconographic methods – psychoanalysis, semiotics, viewer response, deconstruction – are both useful and problematic to contemporary historians. Peter Burke is Professor Emeritus of Cultural History and Fellow of Emmanuel College, Cambridge. His many books include What is Cultural History? (2004) and A Social History of Knowledge (Volume I, 2000; Volume II, 2012).